5. Roller Skating. 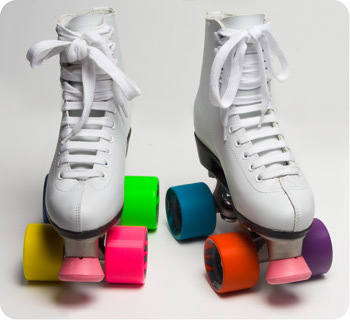 I loved to roller skate as a kid. Loved, Loved, LOVED it. My sisters and I would skate everywhere, and there was always a skating rink on whichever base Dad was stationed at where we could go and skate some more. As an adult, I don’t think I have the balance or leg strength to skate. Skating rinks seem to have fallen out of style as well, and all of the ones around here have closed their doors. 4. Watermelon. Those enormous round Black Diamond melons with the super dark rind, or the long striped melons, both amazingly sweet and juicy. I remember how there would be a pile of them iced down in a galvanized tub at church picnics. We grew our own, and in the summer there was always one in the icebox. Sisters and I would fight over who got to eat the choice morsel slice from the middle, that one piece that would be sweetest, coldest and more succulent than the rest of the melon. I’m sure these kinds of watermelons are still available somewhere in the world, just not here in Texas. 3. Running Barefoot. As an adult, I never go barefoot any more. When my teens were little, I needed to be ready to fly out the door on a second’s notice to kiss boo-boos, to chase off mean stray dogs, or to rescue the cat from a coyote (really). There was no time to stop and look for shoes in such situations. Since it is easier to keep them on the feet, I got into the habit of wearing my shoes all the time (thank you FlyLady). Now I’m too afraid of slicing my foot open on something and it just plain hurts to run barefooted. I miss the cool feel of grass tickling the bottom of my feet and mud squishing between the toes. 2. Reading for Fun. As a kid, I would read through dozens and dozens of books during the summer. There were assigned books during the school year, and I enjoyed them just as much. Now, it seems like there isn’t enough empty time to just sit and read something for fun. Oh, I still read every day, but it is more likely to be an engineering report, construction specs, the newspaper or something from one of the teens’ schools that needs my attention. Nothing very exciting or entertaining. 1. Back to School. Oh, the smell of crayons still sends me over the edge! 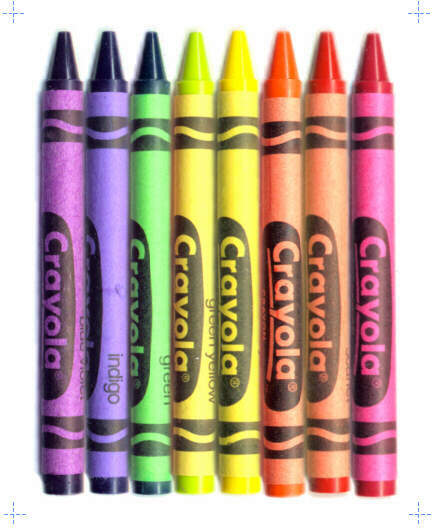 Yes, I’m that crazy lady in Tar-jay sniffing the new crayons. I love the packages of paper, new spirals all clean and ready to be filled with notes and doodles. A three ring binder makes me grin, and have you seen how cool they are now? Velcro! Pockets! Built in file folder thingies! A package of Bic pens is nirvana and oh, the absolute thrill of a brand new Ticonderoga wood pencil will just make my day. Next Post Learning to Speedwalk Week Seven – First Run and a P.S.A. Awesome you pictured a Cherry Ames book! I loved her! And I do read for fun…too much sometimes…even now.Back to school–remember the wonderful smell of new textbooks? They use different ink now and they just don't smell the same. We used to just breathe in that scent like we could somehow inhale the knowledge in the pages.Thanks for the memories.